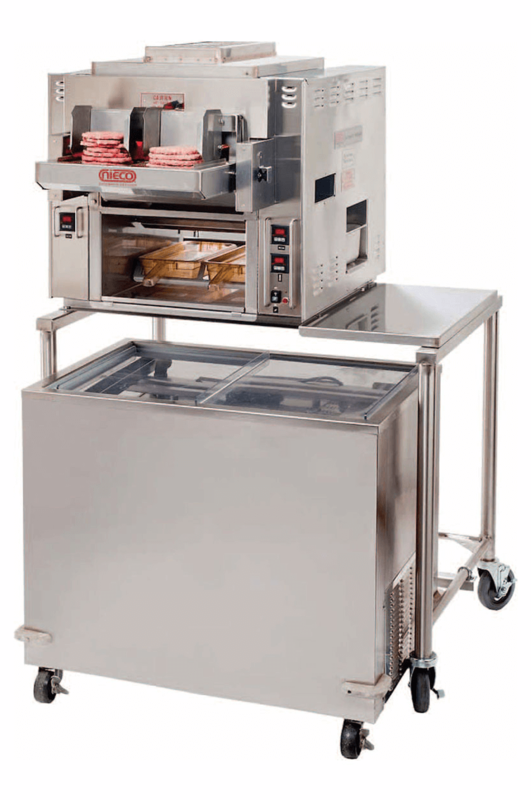 Nieco’s first automatic broiler was prototyped & designed in 1969, when Disneyland expressed interest in the machine. To this day, there is still a Nieco automatic broiler operating in Tomorrowland Terrace, along with countless other restaurants in Disney parks worldwide. Nieco’s trademarked term, BroilVection™, was introduced to the market in 2009, along with our revolutionary JF series line-up. A combination of broiling and convection, BroilVection™ includes a new burner system that recycles energy to improve broiler performance, adds flexibility, and saves a large amount of energy. Nieco has manufactured and sold over 60,000 broilers worldwide since our production began back in 1969, and are currently installed in some of the world’s largest fast food chains. Not just limited to these large corporations, our automatic broilers are currently installed in sports arenas, amusement parks and independent restaurants all over the globe. You can visit Nieco at www.nieco.com. Maximize Great Flavor, Not Costs. Nieco’s JF62 single or JF62-2 dual belt automatic broilers with BroilVection technology deliver superior products while saving up to 40% in energy costs. 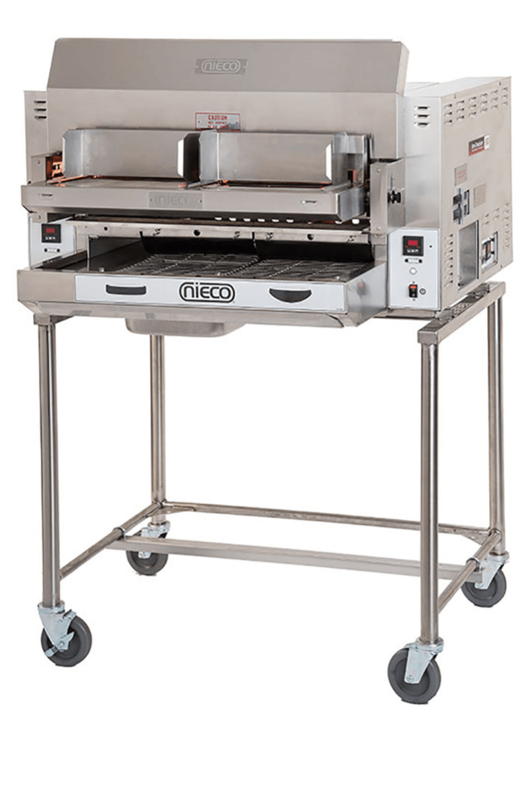 The variety of menu items broiled by the JF62 provides your customers with the charbroiled flavor and surface sear marks they desire Nieco’s BroilVection technology combines radiant, reflective and convective heat to produce consistent results and reduce operating costs. Maximize Great Flavor, Not Costs. Nieco’s JF63 single or JF63-2 dual belt broiler with BroilVection technology deliver superior products while saving up to 40% in energy costs. 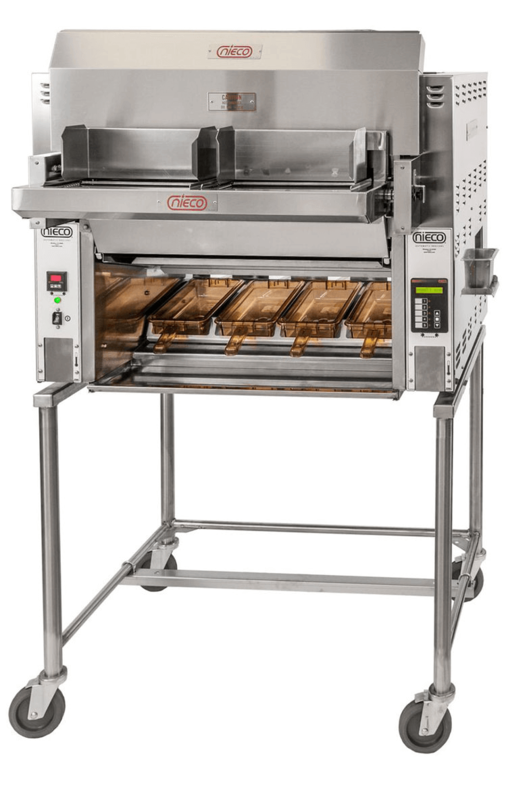 Designed for mid to high-volume locations, the JF63 broils a variety of menu items, offering customers the charbroiled flavor and surface sear marks they desire. Maximize Flavor & Volume, Not Costs. Nieco’s JF64 single belt or JF64-2 dual belt broiler deliver superior products while saving on energy costs. 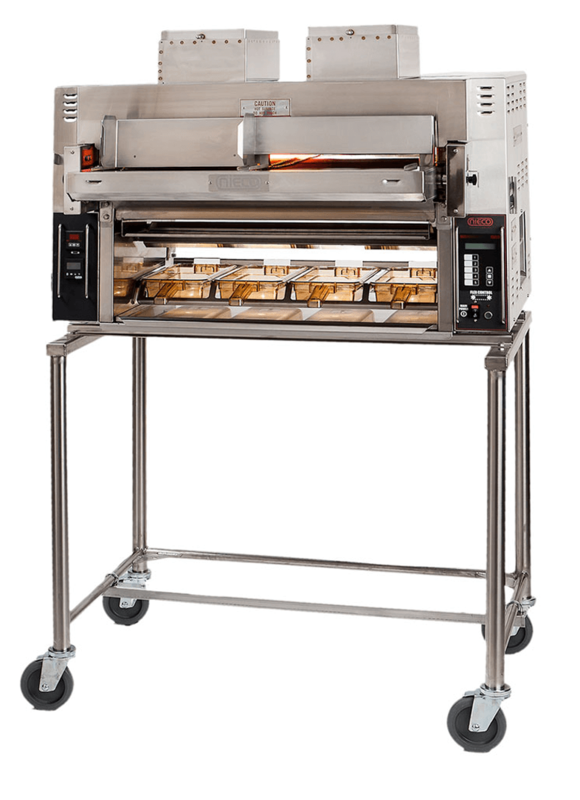 Designed for high-volume locations, the JF64 broils a variety of menu items and offers customers the charbroiled flavor and surface sear marks they desire. Maximize Flavor & Volume, Not Costs. 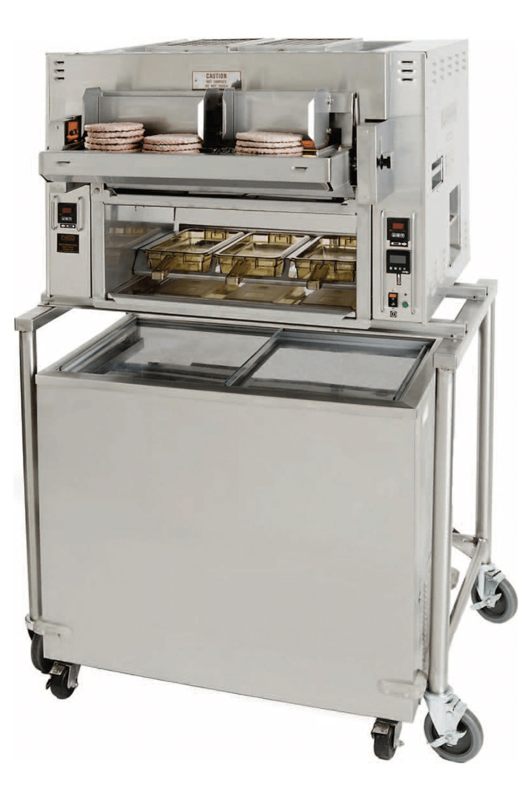 Nieco’s JF64-BG single belt or JF64-2-BG dual belt broiler is our highest capacity broiler that comes with a bun grill. Equipped with BroilVection, a new generation of hybrid broiling technology, the JF64-BG combines radiant broiling, natural convection and focused forced convection heat to consistently produce superior products and reduce operating costs. The Nieco’s JF74 dual belt broiler is the highest capacity electric broiler that features BroilVection™ technology. The JF74 is designed to cook multiple products simultaneously, searing in char broiled flavor and adding the surface grill marks desired by your customer. This energy efficient unit is both simple to operate and easy to maintain. It is a perfect larger configuration for higher volume locations.